About the show: Filmed at the 16.000 capacity Nassau Veterans Coliseum in Uniondale, New York, August 25th. Footage of full shows from the World Piece Tour are fairly rare and the actual quality is not that great, but the vibe and intensity of the performance is absolutely incredible. 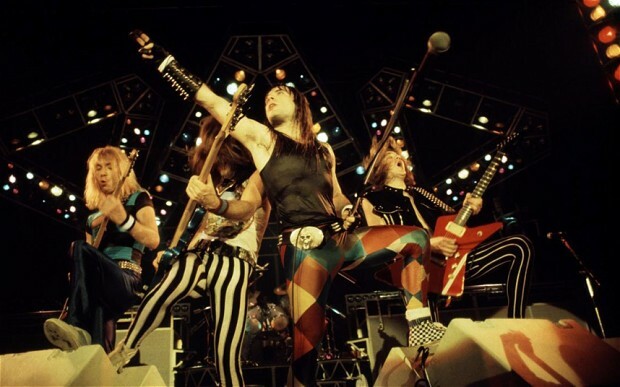 This is proof of the power of Maiden’s early classic era. Bruce Dickinson is on fire throughout and his in-between song banter is hilarious. It also includes Dave Murray‘s very own take on the national anthem, The Star Spangled Banner. Stand-out performances include Where Eagles Dare, To Tame a Land and even The Number of the Beast. You can absolutely tell that this is a band setting out to conquer. Phantom of the Opera, Still Life and Prowler were dropped from the setlist for the US shows on this tour. About the World Piece Tour: It kicked off on April the 28th 1983 in Stuttgart, Germany and ended in the same country 139 shows later in Dortmund. That now infamous gig were filmed for German TV and is featured on the The Early Days DVD. The tour was immensely successful and really helped setting up the band as a major concert phenomenon in the States, when the band decided to “throw caution to the wind” and launch a headlining tour despite negative advice. 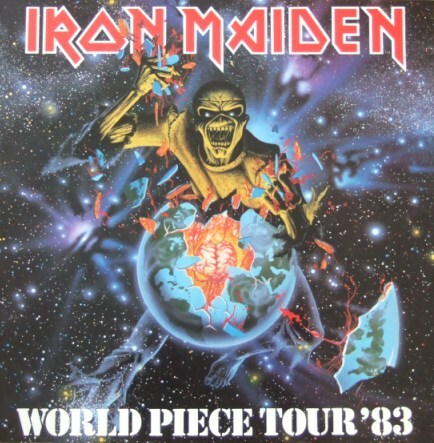 The World Piece Tour ended with Bruce Dickinson brutally “murdering” band mascot Eddie, by ripping his brains out before Murray smashed his Strat in Eddie’s throat. ← FUN FACTS: Here is the original Live After Death cover. Scream for me Eddie!